I’ve posted recordings by these gentlemen before. Indeed, they have been key collaborators on two of my favourite ‘east meets west’ type records. 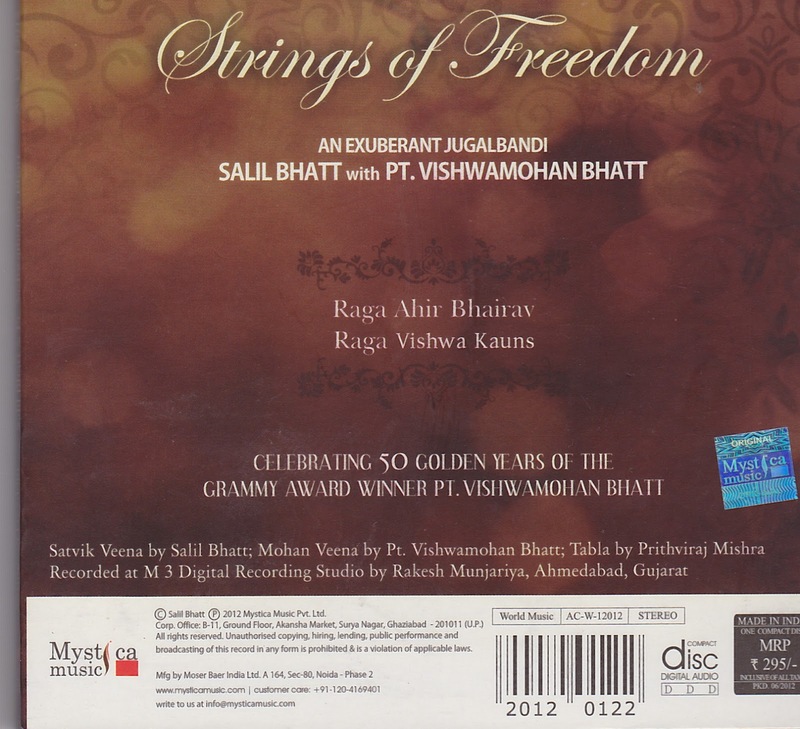 Vishwamohan Bhatt with Ry Cooder on 1993’s Meeting by the River and Salil Bhatt with Canadian guitarist Doug Cox on Slide to Freedom. 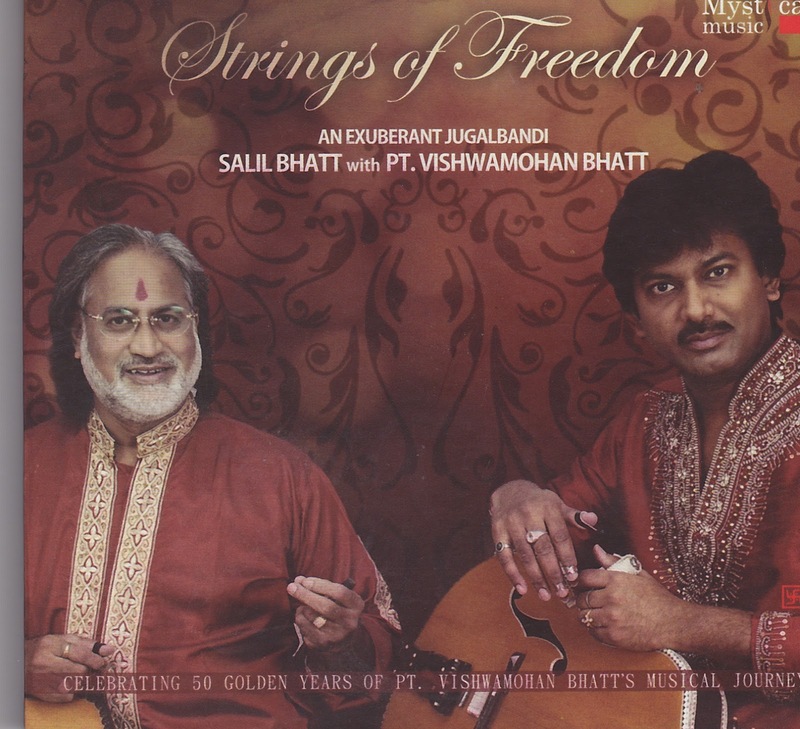 Father (Vishwamohan) and son (Salil) are among India’s foremost guitarists working under the wide stylistic umbrella called classical. Both men have reconfigured the western guitar to suit their own musical visions to such a degree that their inventions are regarded as completely new instruments. 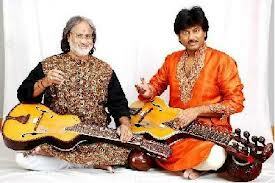 Vishwamohan has created the mohan veena and Salil the satvik veena. Both men have done as much any of their predecessors to move the guitar into the accepted mainstream of the Hindustani orchestra but it is not often that they have recorded together. Tonight’s selection from the Washerman’s Dog is their latest recorded (2012) jugalbandi. 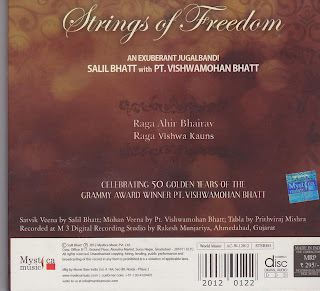 Not only did Salil sahib compose this new raga but he is also responsible for bringing the tabliya Prithivaj Mishra to the attention of the music world. He accompanies the father-son duo on both selections of this fantastic, if romantically-titled, album.